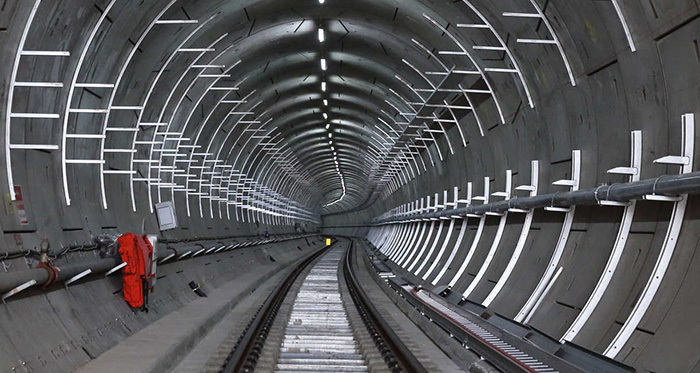 Nearly nine years in the making, Crossrail finally sees light at the end of the tunnel. The groundbreaking infrastructure development is due to open in stages from December 2018 onwards with Woolwich and Abbey Wood stations among the first to open their doors to commuters. In a city with an increasingly clogged up transport network there are high hopes for the relief that Crossrail is set to bring to London. The line is expected to provide an additional 10% to the capital’s transport capacity and slash journey times across the route. From Woolwich you will be able to travel to Canary Wharf in 8 minutes, Liverpool Street in 14 minutes, Tottenham Court Road in 19 minutes, Bond Street in 22 minutes, Paddington in 25 minutes and the Heathrow Airport in 50 minutes. Apart from making headlines in the UK, the significance of Crossrail has been noted internationally with the New York Times, Wall Street Journal, The Washington Post, The Globe and Mail, Sydney Herald, South China Morning Post and many others running stories on the transformative impact of the new line. Woolwich in particular has long been expected to become one of the most significant beneficiaries with the Crossrail making the town a transport hub through connecting with the DLR, South Eastern rail, an extensive bus network and even the Thames Clipper service. The wider impact of this can be seen across new housing developments both in the Royal Arsenal and the Woolwich townsite, the inception of the Woolwich Creative District as well as new retailers and restaurants opening up shop. Plumstead, the leafy Victorian neighbourhood east and up the hill from Woolwich, is also primed to benefit from Crossrail with a greater number of people discovering the area, its undervalued housing stock and abundant green spaces.